If you’ve been following us here at InHomeSafetyGuide.org, you probably feel pretty confident about the knowledge you’ve gained in regards to identity theft. After all, we make it our job to provide you with quality information so you can keep yourself and your loved ones safe! When it comes to identity theft, we’ve told you how it can affect your children. We’ve shared exactly how it can affect your taxes and how credit card fraud is the most common form of identity theft. Perhaps, like us, you were most surprised to learn that even your deceased loved ones aren’t safe from identity theft! But, that’s not all. If an identity thief can go after your business instead of you and your family, that’s even better, and no business is safe. Even some of the largest, most well-known brands have experienced fraud and identity theft. How can a business experience identity theft? It is true that data can be compromised thanks to an identity thief’s relentless pursuit of cash, and this is what has been most common in the past. 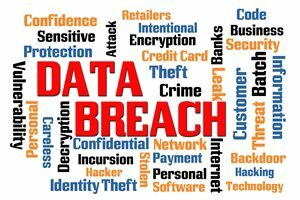 A famous recent example is the data breach that was experienced by Target back in 2013. It was so huge that it affected about 40 million customers, requiring the big box store to settle for $39 million with the banks that were forced to reimburse customers for the fraud that took place. This kind of fraud is still a threat, but it isn’t exactly what we’re talking about here. Instead, we’re talking about identity theft of the business itself. Just like you can be a victim of identity theft, and a thief can use your name to access your funds and create new accounts, they can do the same to a business. It is often referred to as corporate identity theft, but this is a bit misleading because businesses of all sizes can experience identity theft in this way. Why would an identity thief want to target a business instead of an individual? In addition, essential business information is easier to come by than personal information. Many businesses are required by law to make certain facts available to the public, like sales tax numbers and license plate numbers, that can make stealing their identities pretty quick and painless. However, there are a number of ways a business can accidentally make it even easier to compromise their identity. As is the case with any form of identity theft, there are some things you can do to lessen the chances of becoming a victim. If you have a business, no matter how big or small, it’s definitely worth your time to cover your tracks. If you deal in information, be careful who you sell it to. It is true that you can make a lot of money by selling customer information, but if you don’t check the validity of the people and companies that are buying, you could be putting your business and your customers are risk. Keep notebooks, laptops, and other electronics secure. It’s easy for information to get misplaced, or for hackers to access your most important information while you’re catching up on email in a local coffee shop. Store files safely and make sure your electronics have the latest software updates and are protected from malware. When there’s so much at stake, it’s not a bad idea to look into identity theft protection for your business. That way you can rest easy knowing both you and your customers are protected. Spend some time reviewing our top providers to find one that’s a good match for your business.